I show you how to make Daifuku Mochi; it is vegan Japanese sweets. It is easy, simple, and basic cooking. You only need three ingredients, which is Anko, Sweet rice flour and sugar! I have another page how to make Anko by pressure cooker, and also how to make Anko. If you ever have seen or ate mochi ice cream, that is very similar to Daifuku. Yukimi daifuku is the original name that made from big manufacture company in Japan. You may be able to find this original ice cream in the U.S. but now, much American company making these sweets. This mochi ice cream is not existant if we do not have daifuku mochi. Anyway, Daifuku is the mochi, and this is traditional Japanese sweets. They do not have dairy food for traditionally, and desserts usually made by Anko (azuki beans and sugar) or other beans besides Azuki. Also, sometimes, sauce that made from sugar and soy sauce base. Mochi made sweet rice itself or sweet rice flour. This video and blog, I use sweet rice flour to make these traditional Japanese sweets. I love this mochi, and when I go back home, I always buy it from store at least one time! There are fruits inside of Anko or Mame, which is another kind of beans in the mochi part and I love the beans one. 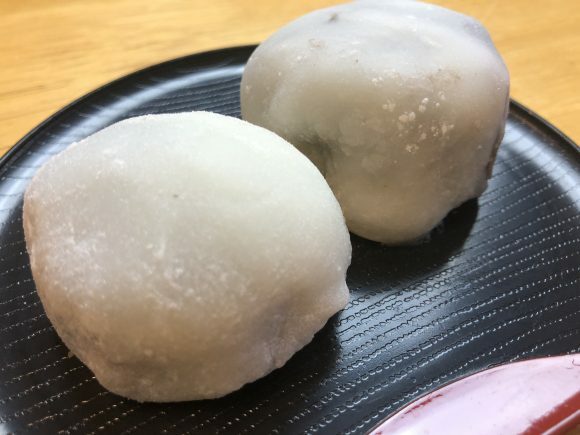 (which called Mame daifuku mochi 豆大福) I did not show you how to make fruits one but you just simply put fruits inside of Anko and wrap by mochi part. It is simple.